A CONTINUACIÓN SE INSERTA CARTEL ANUNCIADOR DE LOS PARTIDOS DE FÚTBOL QUE DISPUTARAN DISTINTOS EQUIPOS DE. C.D. 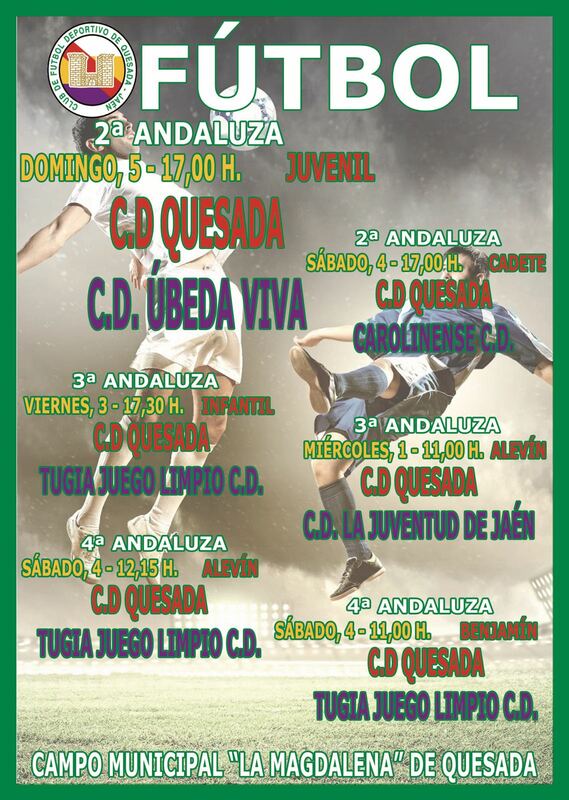 QUESADA EL VIERNES Y SÁBADO PROXIMO EN EL CAMPO DE FÚTBOL LA MAGDALENA.